NOTE: This book is a standalone book and will not include any access codes. 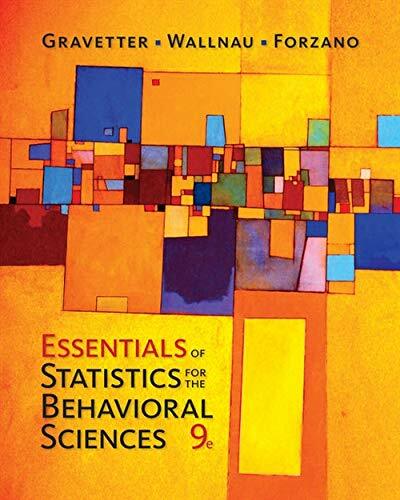 A proven bestseller, ESSENTIALS OF STATISTICS FOR THE BEHAVIORAL SCIENCES, 9th Edition gives you straightforward instruction, unrivaled accuracy, built-in learning aids, and plenty of real-world examples to help you understand statistical concepts. The authors take time to fully explain statistical procedures so that you can go beyond memorizing formulas and begin gaining a conceptual understanding of statistics. They also take care to show you how having an understanding of statistical procedures will help you comprehend published findings — ultimately leading you to become a savvy consumer of information. In addition, a complete supplements package — including the MindTap digital learning experience — helps you maximize your course success.